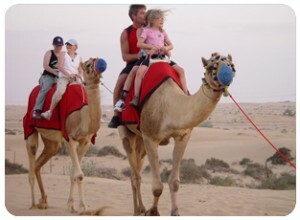 Red Dunes Dubai (Desert Safari and Adventure Tours) is a well established travel and tourism organization based in Dubai serving a global clientele encompassing all aspects of high class tourism services. 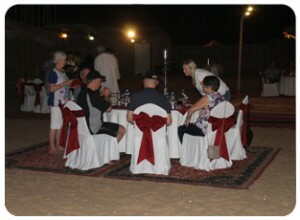 If you are looking for a pleasant and an unforgettable holiday, we would like to offer you the following and much! Much!! 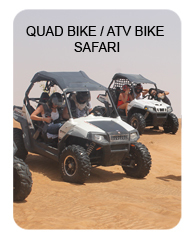 more…..
Desert Safari, Morning Desert Safari, Evening Desert Safari, Overnight Desert Safari, Dune Dinner Safari, Corporate Events, Private desert Safari, Wadi bih Adventure, Falcon show – Fascinating Falcons, Sand-boarding, Hatta Pools Tour, Camel Riding, Deep Sea Fishing, Dune buggy – Quad bike , Off-road Adventure, Balloon Adventures, Wild-Wadi Water Park, Scuba Diving, KTM Motorbike desert adventure Dubai & Quad bike / ATV bike / Polaris RZR off road 4×4 Dune buggy tour Rental Dubai. 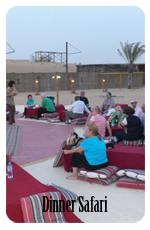 Dubai City Tour, Sharjah Ajman Tour, Al Ain Tour, East Coast Tour Fujairah, Abu Dhabi City Tour, Belly Dancing, Henna Painting, Dhow Cruise Dinner, Burj Al Arab Tour, Bab Al Shams Tour, Muscat-Oman Tour. 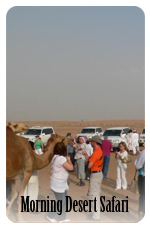 We are experts in handling in-bound tour groups taking total care from the arrival to the departure. 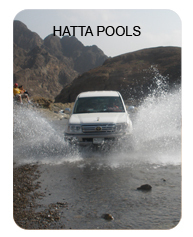 Are you someone who is bubbling with energy and feeling adventurous in the morning? 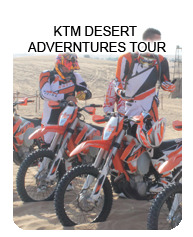 Then the Morning Desert Safari is for you. 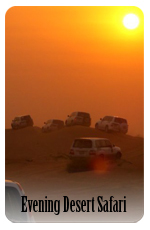 Read more… Evening Desert Safari Dubai: Your heart beat will invariably rise as you enter the sand dune area. 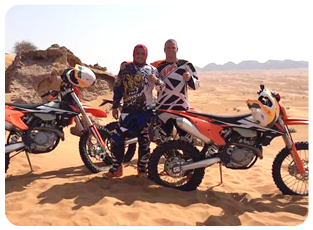 After reducing the tire pressure and tightening the seat belts you will find your life hanging in the hands of a highly skilled dune rider. 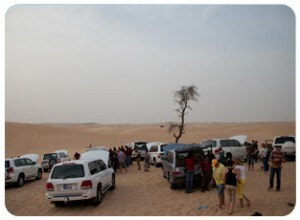 Read more… Overnight Desert Safari Dubai: This is an experience you should never miss if you are a lover of nature. If you ever have had the chance to watch the all-time Hollywood classic the Lawrence of Arabia, you will know the amazing beauty of a desert night. 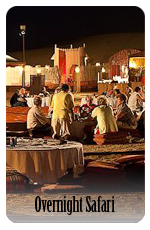 Read more.. Dinner Desert Safari Dubai: Visiting UAE and leaving without experiencing the desert is like visiting France and not seeing the Eiffel Tower. Read more.. 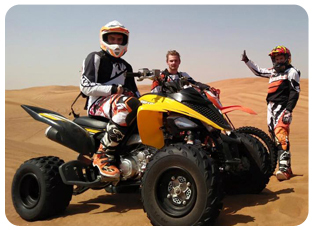 If you are tired of daily routine and want to experience thrilling feelings in your life, then welcome to Red Dunes Dubai that offers professional services of motorcycle rentals in Dubai. 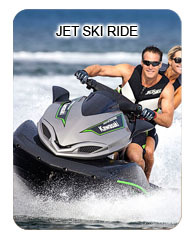 Get ready for the “Ride of Your Life!” Want to enjoy the thrill of the machine. 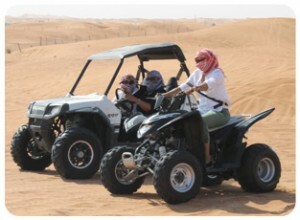 Ride your own Raptor 700 bike (ATV) through the open desert, rumble across the sands, roar over rolling dunes, and checking stunning views of Arabian deserts along the way stop for photos of the beautiful desert dunes on route and you have the freedom to ride safely to the conditions and within your ability. 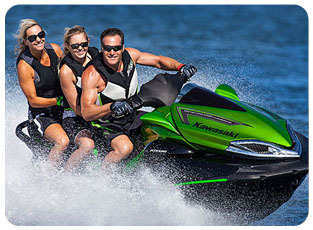 See Dubai like never before with our latest 2015 model Kawasaki Ultra 310x , see the treasures of Dubai from the Sea, on your Jetski : Burj Al Arab, Atlantis, Palm Jumeirah, Jumeirah Beach Residence, Dubai Marina, Sheikh Island, Sheikh Hamdam Island Stunning views of Dubai you can only have from the sea, having fun with your friends riding a jetski together. 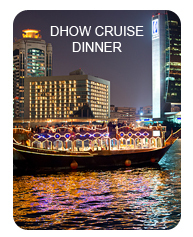 More info on Jet Ski Dubai Package..
We do special arrangements for Corporate groups from desert safari to dhow cruise dinner. Dubai is the site of ultramodern Burj Khalifa tower, enormous shopping centers and extravagant attractions, such as the indoor Ski Dubai.